Glass installation companies, do you need to lift heavy glass panes high up on buildings or in difficult-to-reach places? Then let’s do the lifting with our TGT Hermes 900 and Viavac GBX2 vacuum grab units. 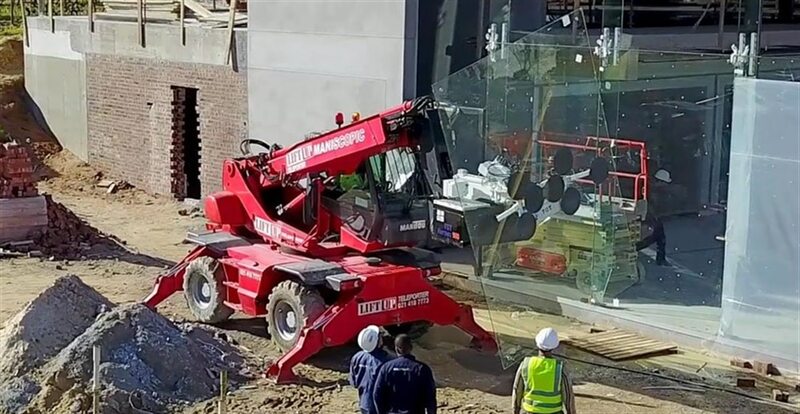 The Hermes 900 is a hydraulically operated telehandler attachment that uses suction pads to firmly grasp heavy glass panes so they can be moved into position. The suction grabs can handle double glazed glass panes of up to 800 kg with ease. 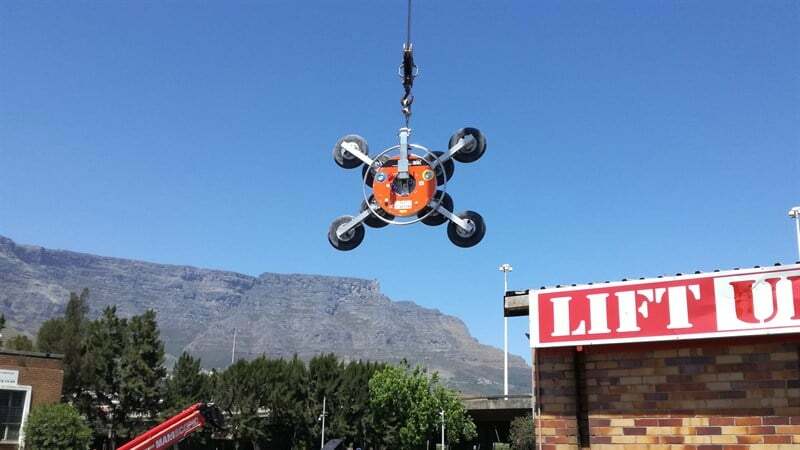 The unit is able to extend forward and backward, up and down, swivel from side to side and spin a glass pane 360 degrees while lifting panes as high as 30 metres. The Viavac vacuum grab unit is suspended from a telehandler hook attachment and can also swivel 360 degrees, allowing precision placement of glass panes. An advantage of using vacuum grab units and telehandlers is safety – it’s simply much safer to position heavy glass panes using a remote control machine than to try and get workers to manhandle it into position using scaffolding. The glass itself is also safer and has far less risk of being dropped and broken. Take a look at this video showing the Hermes 900 in action. All in all, the telehandler and vacuum grab combo is a certain way to save time and money on any job where heavy glass panes have to be fitted with precision or in challenging access conditions.